Since prehistoric times, the use of graves built within private houses has been a common burial custom of both Old and New World societies. Although efforts have been made by scholars to interpret the role these graves had in constructing the social, cultural and economic organization of ancient societies, there has been no attempt to clearly define the use of basic terminology, such as ‘intramural’, for this category of funerary depositions. The paper here presented will thus aim at defining a more coherent typology of ‘residential graves’ (i.e., a built tomb embedded within a dwelling and contemporary with it) and distinguish it from other types of funerary depositions that were part of the settlement (i.e. cists, pits, pithoi), but that are difficult to connect with the collective memory of the community. Such an epistemological exercise will facilitate interpretations carried out by scholars interested in mortuary archaeology and will also define the socio-economic value of residential graves as part of the construction of the familial memory. Moreover, to further elucidate the definition of residential graves I will also present a specific case study (i.e., Titriş Höyük during the late IIIrd millennium BC) in which the use of such funerary depositions was pivotal for framing the emergence of a new social class. 1 Adams/King 2010; Bartoloni/Benedettini 2007/2008. 1Historically speaking, the study of intramural funerary depositions has not been a popular subject of research in the field of archaeology. 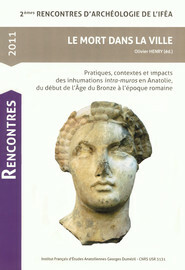 During the last five years, however, the topic has been the subject of some long-overdue attention in the form of conferences and other research that explores various aspects of intramural funerary depositions in ancient societies, as with, for example, the 2006 symposium Sepolti tra i vivi held in Rome, and the recently released volume on residential burials edited by Ron Adams and Stacey King.1 However, as correctly pointed out by Edgar Peltenburg at the ICAANE conference in London,2 much confusion still remains regarding the definitions of the different types of intramural funerary depositions and especially the differentiation between residential graves and other types of intramural funerary depositions. 2For example, the term ‘intramural’ has sometimes been used to describe funerary depositions located both ‘within the city walls’ and ‘within the walls of a building’.3 This has created confusion in distinguishing between graves located within the city walls (as is the case of the mausolea) and those embedded within the architecture of a specific building (as is the case of sub-adult inhumations in pottery vessels underneath walls or floors; depositions in pits, jars, pithoi under the floor; tombs in abandoned houses; and residential graves). 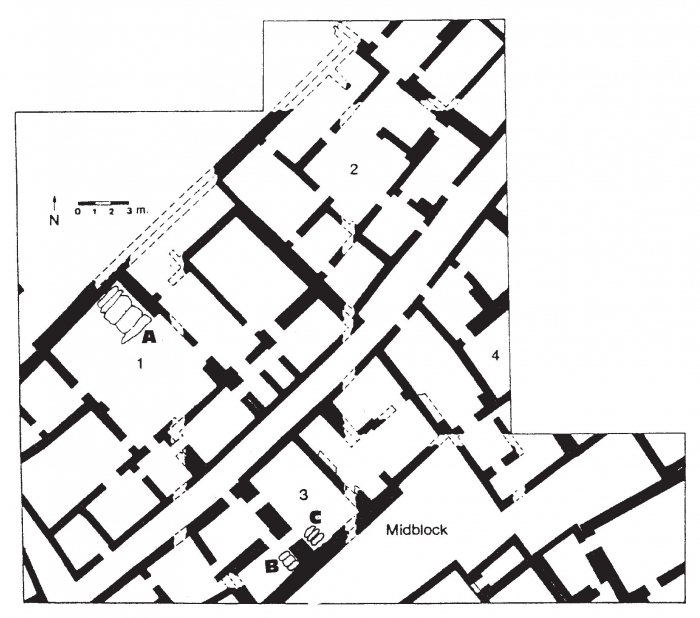 It now appears important to determine specific terminology in order to define the type of relationship that occurs between graves, architecture and the overall settlement topography when investigating tombs that are located in an urban context. For example, the establishment of clear parameters can be useful when dealing with tombs that have the purpose of becoming funerary crypts embedded within residential architecture. 3In particular, we should consider residential graves as funerary depositions that were planned as part of the domestic architecture and, thus, could have functioned as a clear point of reference for the living family in the process of revising the memory of their ancestors. This phenomenon served the purpose of emphasizing the socio-economic role played by the ancestors in strengthening familial lineages and reinforcing a sense of belonging among the family’s members during the performance of their daily activities as well as in the process of confrontation with groups that present a different social, religious or ethnic identity. Thus, the identification of residential graves appears as a fundamental step in understanding the rules governing the social organization of the investigated groups. More specifically, the different burial locations can also be indicative of a diverse way of conceiving social links among group members; for example, while extramural funerary depositions in large cemeteries can indicate a centralized control on how the living interact with the ‘world of the dead’, the use of residential graves built within the private dwellings can signify a desire by emerging groups to differentiate their position from central authorities. tombs that have a direct and continuous relationship with residential architecture (e.g. through the use of altars or drains located in other rooms). 5After outlining these preliminary elements on the identification of residential graves in the archaeological record, I would like now to turn my attention to the main aim of this paper: the investigation of the social value of the appearance of residential funerary chambers at the site of Titriş Höyük in southeastern Anatolia during the late IIIrd millennium BC. 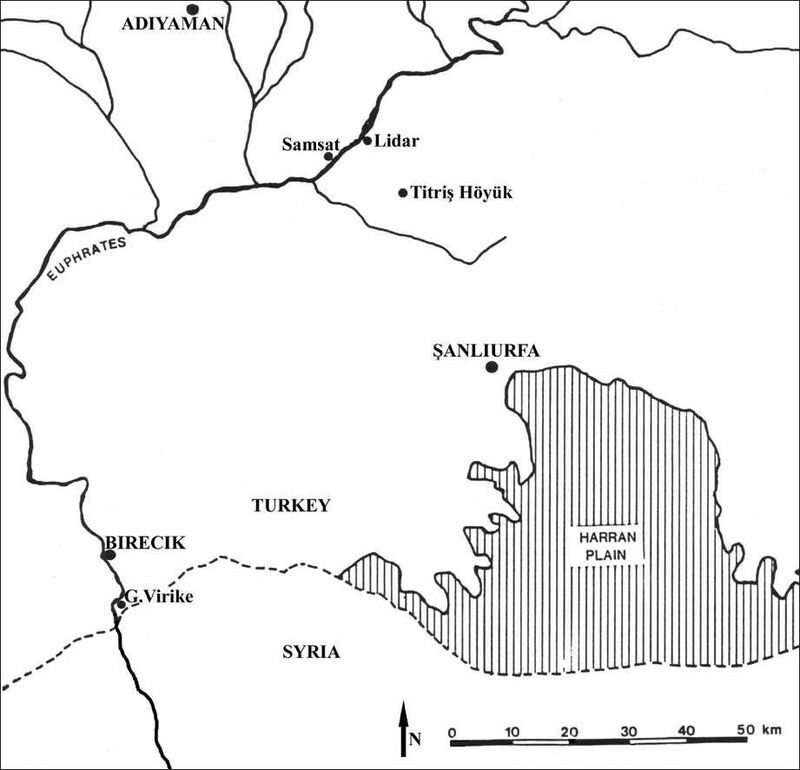 Fig.1: Map of southeastern Anatolia showing the location of Titriş Höyük cultural, and economic habits were experiencing a transformative shift. 7 Algaze et al. 2001, 46, fig.17. 9 Algaze et al. 2001. 14 Algaze et al. 1992, 37-38. 16 Hauptmann 1993, 10-15 ; Honça/Algaze 1998, 104-106, figs.3-5. 25 Algaze et al. 2001 ; Lebeau 1996 ; Matney et al. 1999 ; Pfalzner 2001. 26 Algaze et al. 2001, 41-44. 28 Matney et al. 1997, 61-84. 13However, the major changes are visible in the urban fabric of the city, which is now characterized by the presence of private dwellings connected and separated by a complex road system in both the Outer and Lower Towns.23 Due to the fact that the whole city shows a precise and impressive urban regularity, comprised of wide streets and alleyways to connect the different neighborhoods in the Outer and Lower Towns, it can be assumed that the Late EBA town was planned by a centralized authority who allotted land for the construction of large private dwellings in the neighborhoods of both sectors of the city.24 These domestic structures were built following standardized measurements and an architectural style typical of a second half of the IIIrd millennium BC Mesopotamian tradition, in which the main courtyard was linked to both the residential rooms and the cooking, storage, and craft production areas.25 As mentioned before, during this Late EBA phase the suburbs dedicated to specialized production in the earlier period were abandoned,26 while other specialized activities were probably transferred from the outer area to the main site and, more specifically, within private dwellings.27 It is in this specific household context that the archaeologists also found important working features and tools related to specialized production still in situ, such as plastered basins for processing grapes, looms and spindle whorls for making textiles, a stone ‘trinket’ mold for casting metal objects, stone tools for procuring and processing food, and large storage jars for storing food products.28 Within this scenario (i.e., a transformation of both urban fabric and craft production between the Middle and Late EBA), it is also important to highlight the abandonment of the Middle EBA ‘public’ architecture in the Outer Town, marked by massive stone foundations, that, during the following Late EBA phase, was substituted by private dwellings built on top of it. 29 Laneri 1999, figs. 2-6. 30 Honça/Algaze 1998, 108 ; Laneri 2004, 137-142. 33 lbid. 1998, 121, fig. 9. 35 Honça/Algaze 1998, 116-117, tab. 3. 36 Akkermans/Schwartz 2003, 246-253 ; Algaze/Matney 2011, 1004-6 ; Carter/Parker 1995. 37 Laneri 2004, tav. 36-42. 38 Laneri 1999, fig. 8. 17All these elements testify to the direct access to precious commodities (e.g. silver) by the inhabitants of the private dwellings and, therefore to a higher social status of the members of the families inhabiting these houses. 39 Matthews 1997, 51-2 ; Rahmstorf 2006. 42 Postgate 1992, fig. 13:6. 43 Laneri 2004, 145-155 ; Laneri 2007. 20As mentioned in previous works,43 it is important to emphasize the symbolic relationship between the production of wine, the performance of funerary rituals and the emergence of newly founded families at Titriş Höyük during the late IIIrd millennium BC. It is in fact through the connection of these three elements (that also correspond to the economic, ritual and social dimensions) that we can envision the reasons behind the dramatic transformation that occurred between the Middle and Late EBA. 44 Algaze et al. 2001, 69-70, fig. 29 ; Matney et al. 1999, 189-190, fig. 5. 21One element that can better support the intermingling of these three dimensions is the unique funerary deposition dated to the final phase of the Late EBA discovered inside a room of a private dwelling in Titriş Höyük’s Outer Town. This deposition consists of human bones placed on top of a circular-shaped plaster basin with a diameter of ca. 1.40 cm.44 The deposition is located in a room that was accessible directly from the street leading towards the fortification walls. The position of this building as well as the clear visibility of this feature from the street makes an important point of reference for framing the ritual practices of the communities inhabiting the site in this specific chronological period.45 In relation to the above-mentioned issue of connecting the economic, ritual, and social dimensions of the communities inhabiting Titriş Höyük during the Late EBA, it is important to mention that other plaster basins were found within the private dwellings, and, in one case, the chemical analysis enacted on the residues recognizable on the basin’s surface suggest the use of these features for the purpose of processing grapes for the production of wine. 22Regarding the funerary deposition found in the Outer Town plaster basin, the bones disposed on top of the basin correspond to 19 disarticulated individuals (i.e. a secondary interment). Of these bones, 17 are skulls placed around the perimeter of the basin. The skulls and bones are mostly of young adult males. In fact, only one skull belongs to an adult female, one to a young female, and a few bones represent two infants. According to the analysis performed by the physical anthropologist Dr. Dilek Erdal, of the 19 individuals: 12 are male adult (all with cranial trauma), 3 are female adult (one with cranial trauma), 1 unspecified adult (with cranial trauma), 2 children (with no skull), and 1 infant (with no skull); 81.5 % of adult crania show clear signs of cranial trauma (a total of 26 unhealed perimortem trauma). Wounds were made by sharp-edged and projectile weapons (i.e. battle-axe and/or spear).46 All these elements suggest the possible massacre of a group of people from the community of Titriş Höyük (as demonstrated by a comparison of the DNA of the individuals buried on the plaster basin to those buried in the residential graves) by either local enemies or foreign groups that came with the purpose of destroying the settlement. The fact that the settlement was not destroyed and the remains of the dead 19 individuals were put on display on top of the plaster basin suggests the first possibility. 23In any case, an increasing level of belligerency during the Late EBA period is recognizable in the construction of the thick fortification wall as well as in the transformation of the urban fabric between the Middle EBA and the Late EBA with the incorporation of the 9 suburban areas inside the city walls as well as the abandonment of the extramural cemetery and the use of residential graves as well as other forms of intramural funerary depositions. 47 Algaze/Matney 2011 ; Matney/Algaze 1995. 50 Algaze/Matney 2011 ; Erdal 2012 ; Laneri 2007. 52 Hartenberger in Algaze et al. 2001, 41-45. 54 Davies 2002, 1-23 ; Hertz 1960, 27-86. 55 Jonker 1995 ; Laneri 2010 ; Peltenburg 2007/2008 ; Van Der Thorn 1996. 30In conclusion, the importance of a clear definition of types of funerary depositions within a settlement appears pivotal for constructing stronger links between burial customs and systems of socio-economic organization among ancient societies. Such a distinction is fundamental in the process of analyzing the transformation that occurred at Titriş Höyük between the mid and late IIIrd millennium BC and interpreting the role played by residential funerary crypts in strengthening the social structure of emerging powerful families in a transforming landscape that was marked by innovative forms of economic subsistence as well as an increasing level of belligerency. Adams, R.L. / King, S.M. (éds. ), Residential burial: A multiregional exploration, Maiden, MA [Archeological Papers of the American Anthropological Association 20], Washington, 2010. 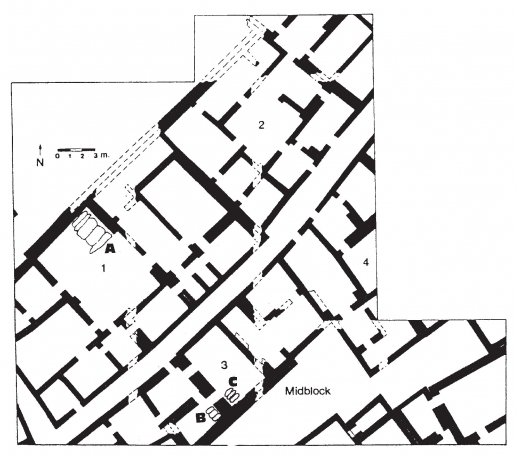 Akkermans, P. / Schwartz, G., The Archaeology of Syria. From Complex Hunter-Gatherers to Early Urban Society (ca. 16,000-300 BC), Cambridge, 2003. Algaze, G. (éd. ), Town and Country in Southeastern Anatolia, Chicago, 1990. Algaze, G. / Matney, T., “Titriş Höyük”, in S.R. Steadman / G. McMahon (éds. ), Oxford Handbook of Anatolian Studies, Oxford, 2011, 994-1011. Algaze, G. / Pournelle, J., “Climatic Change, Environmental Change, and Social Change at Early Bronze Age Titriş Höyük”, in M. Özdoğan/ H. Hauptmann / N. Basgelen (éds. ), From Village to Cities. Early Villages in the Near East, Istanbul, 2003, 103-28. Algaze, G. / Mısır, A. / Wilkinson, T., “Şanlıurfa Museum/University of California Excavations and Surveys at Titriş Höyük, 1991: A Preliminary Report”, Anatolica 18, 1992, 33-60. Algaze, G. / Dinckan, G. / Hartenberger, B. / Matney, T. / Pournelle, J. / Rainville, L. / Rosen, S. / Rupley, E. / Schlee, D. / Vallet, R., “Research at Titriş Höyük in Southeastern Turkey: The 1999 Season”, Anatolica 27, 2001, 23-106. Archi, A. / Biga, M.G., “A Victory Over Mari and the Fall of Ebla”, Journal of Cuneiform Studies 55, 2003, 1-35. Bartoloni, G. / M.G. Benedettini (éd. ), Sepolti tra i vivi -- Buried among the living: evidenza ed interpretazione di contesti funerari in abitato [atti del Convegno internazionale, Roma, 26-29 aprile 2006], Rome, 2007/2008. Carter, E. / Parker, A., “Pots, People and the Archaeology of Death in Northern Syria and Southern Anatolia in the Latter Half of the Third Millennium BC,” in S. Campbell / A. Green (éds. ), The Archaeology of Death in the Ancient Near East, Oxford, 1995, 96-116. Davies, J.D., Death, Ritual and Belief. The Rhetoric of Funerary Rites, Londres, 2002. Erdal, Ö.D., “A possible massacre at Early Bronze Age Titriş Höyük, Anatolia”, International Journal of Osteoarchaeology 22, 20122, 1-21. Gilman, A., “The Development of Social Stratification in Bronze Age Europe”, Current Anthropology 22.1, 1981, 1-23. Hauptmann, H., “Vier Jahrtausende Siedlungsgeschichte am mittleren Euphrat”, Deutsche Archäologie im Ausland 1, 1993, 10-15. Hertz, R., Death and the Right Hand, Aberdeen, 1960. Honça, D. / Algaze, G., “Preliminary Report on the Human Skeletal Remains at Titriş Höyük: 1991-1996 Seasons”, Anatolica 24, 1998, 101-141. Korfmann, M., “Troia als Drehscheibe des Handels im 2. und 3. vorchristlichen Jahrtausend”, in E. Latacz / B. Theune-Grosskopf (éds. ), Troia. Traum und Wirklichkeit, Stuttgart, 2001, 361-368. Jonker, G., The topography of remembrance: The dead, tradition and collective memory in Mesopotamia, Leyde, 1995. 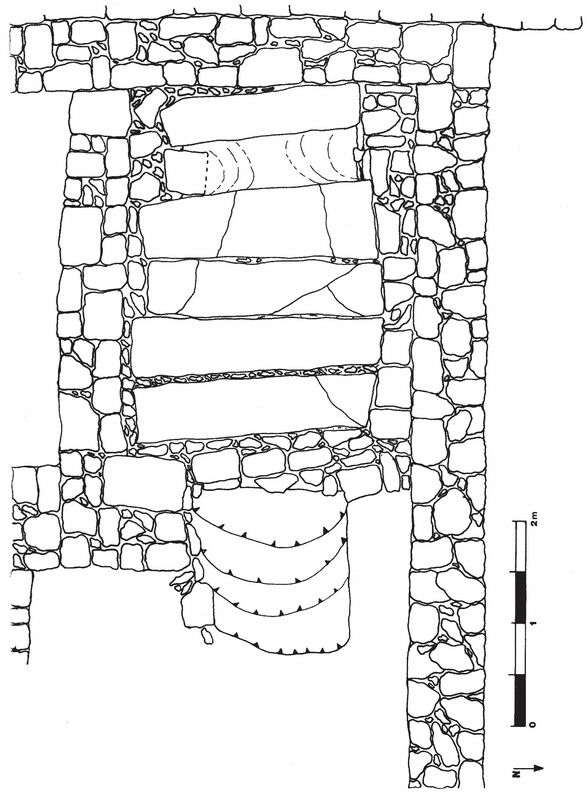 Laneri, N., “Intramural Tombs. A Funerary Tradition of the Middle Euphrates Valley during the IIIrd Millennium BC,” Anatolica 25, 1999, 221-241. Laneri, N., I costumi funerari della media vallata dell’Eufrate durante il III millennio a.C. [Dissertationes IV], Naples, 2004. Laneri, N., “Burial Practices at Titriş Höyük, Turkey: An Interpretation”, Journal of Near Eastern Studies 66, 2007, 241-266. Laneri, N., “A Family Affair: The Use of Intramural Funerary Chambers in Mesopotamia during the Late Third and Early Second Millennia B.C.E.”, in R.L. Adams / S.M. King (éds. ), Residential Burial: A Multiregional Exploration [Archeological Papers of the American Anthropological Association 20], Washington, 2010, 121-135. Lebeau, M., “Les maisons de Melebiya. Approche fonctionnelle de l’habitat privé au llle Millénaire av. notre ère en Haute Mésopotamie”, in K.R. Veenhof (éd. ), Houses and Households in Ancient Mesopotamia, Istanbul, 1996, 129-136. Matney, T. / Algaze, G., “Urban Development at the Mid-Late Early Bronze Age Titriş Höyük in Southeastern Anatolia”, Bulletin of the American Schools of Oriental Research 199/200, 1995, 33-52. Matney, T. / Algaze, G. / Pittman, H., “Excavations at Titriş Höyük in Southeastern Turkey: A Preliminary Report of the 1996 Season”, Anatolica 23, 1997, 61-84. Matney, T. / Algaze, G. / Rosen, S., “Early Bronze Age Urban Structure at Titriş Höyük, Southeastern Turkey. The 1998 Season”, Anatolica 25, 1999, 185-201. Matney, T., “Urban Planning and the Archaeology of Society at Early Bronze Ages Titriş Höyük”, in D.C. Hopkins (éd. ), Across the Anatolian Plateau. Readings in the Archaeology of Ancient Turkey [Annals of the American Schools of Oriental Research, Vol. 57], Boston, 2002, 19-34. Matthews, D.M., The early glyptic of Tell Brak: Cylinder seals of third millennium Syria, Fribourg, 1997. Peltenburg E., “Enclosing the Ancestors and the Growth of Socio-political Complexity in Early Bronze Age Syria”, in G. Bartoloni / M.G. Benedettini (éds. ), Sepolti tra i vivi - Buried among the living: evidenza ed interpretazione di contesti funerari in abitato [atti del Convegno internazionale, Roma, 26-29 aprile 2006], Rome, 2007/2008, 215-247. Pfälzner, P., Haus und Haushalt: Wohnformen des dritten Jahrtausends vor Christus in Nordmesopotamien, Mayence, 2001. Postgate, J.N., Early Mesopotamia. Society and Economy at the Dawn of History, Londres, 1992. Van Der Torn, K., Family Religion in Babylonia, Syria and Israel. Continuity and Change in the Forms of Religious Life, Leyde, 1996. 3 According to the English dictionary, the adjective ‘intramural’ means ‘situated or done within the walls of the buildings’. In Italian, the conundrum has been solved through the use of the term ‘intra muros’ for the tombs built within the walls of the building and ‘intra moenia’ for those built in a more generic position within the city walls. 8 A total of 750 sqm. of Middle EBA architecture and 3000 sqm. Of Late EBA architecture have been uncovered, Algaze/Matney 2011, 995. 31 A difference between the Outer and Lower Town is also visible in the layout of the urban settlement (Matney/Algaze 1995, 48-49). 32 It appears clear from the archaeological data that only selected dead were buried in the residential graves of the Late EBA. This assumption is based on the fact that the corpses and skulls found inside of the chambers, ranging from 1 to 8, do not correspond to the possible average population of the households during their use, a span of about 300 years (Honça/Algaze 1998, 108). 40 As seen before with some of the artifacts found in the tombs of the Middle EBA, the cultural and commercial exchange between this area and western/central Anatolian regions appears as a sign of continuity during the second half of the IIIrd millennium BC. 41 This particular vessel has generally been associated with the distribution and consumption of wine throughout contemporary Anatolia and northern Syria (Korfmann 2001, 361-368, abb. 398-399). LANERI, Nicola. Defining residential Graves : The case of Titriş Höyük in southeastern Anatolia during the Late IIIrd Millennium BC In : Le Mort dans la ville : Pratiques, contextes et impacts des inhumations intra-muros en Anatolie, du début de l'Age du Bronze à l'époque romaine [en ligne]. Istanbul : Institut français d’études anatoliennes, 2013 (généré le 25 avril 2019). Disponible sur Internet : <http://books.openedition.org/ifeagd/2151>. ISBN : 9782362450556. DOI : 10.4000/books.ifeagd.2151. Laneri, Nicola. “Defining residential Graves : The case of Titriş Höyük in southeastern Anatolia during the Late IIIrd Millennium BC”. Henry, Olivier. Le Mort dans la ville : Pratiques, contextes et impacts des inhumations intra-muros en Anatolie, du début de l'Age du Bronze à l'époque romaine. Istanbul : Institut français d’études anatoliennes, 2013. (pp. 43-52) Web. <http://books.openedition.org/ifeagd/2151>. HENRY, Olivier (dir.). Le Mort dans la ville : Pratiques, contextes et impacts des inhumations intra-muros en Anatolie, du début de l'Age du Bronze à l'époque romaine. Nouvelle édition [en ligne]. Istanbul : Institut français d’études anatoliennes, 2013 (généré le 25 avril 2019). Disponible sur Internet : <http://books.openedition.org/ifeagd/2057>. ISBN : 9782362450556. DOI : 10.4000/books.ifeagd.2057.